Maintain complete control of the media through outright ownership and legislation that gives the state a monopoly or the right to demand editorial control. Since the last election he has brought even the online media under his control through new rules including closing one of the last remaining online newspapers not under the Government’s control on the vague charge of stirring up anti-foreigner sentiment. Use state resources to bribe and intimidate voters and to defend his reputation in private lawsuits against individuals who have criticised him in a manner that would be deemed corrupt in most democratic countries. Tilt the electoral playing field in his favour by making the body responsible for regulating elections a mere department within his office. 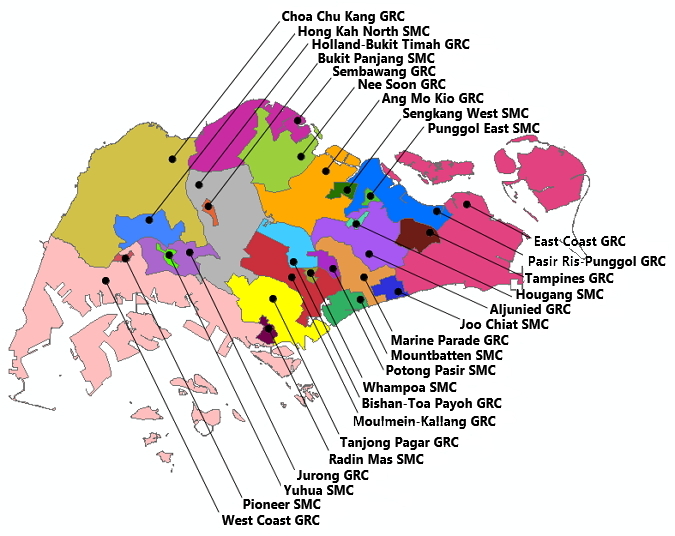 The PAP have tampered with the electoral system repeatedly to tilt the odds in their favour including changing electoral boundaries repeatedly without any justification and introducing the Group Representation Constituency (GRC) in order to make it more difficult for the Opposition to compete. All the examples listed above perfectly demonstrate why the holding of regular elections is not a fit criterion to judge whether a country is a democracy. PM Lee refused to commit to a minimum period between the release of the EBRC report and the calling of an election that could be as little as a month. He also resisted calls to introduce transparency by making the minutes of the EBRC available and to appoint Opposition representatives to the EBRC on the grounds that the EBRC had to be above politics. This is highly disingenuous since clearly it is very much under his and the PAP’s control. Lee’s revelation means that the next election is potentially less than three months away. The PM also revealed that he had asked the EBRC to reduce the minimum size of GRCs below 5 MPs and to set the minimum number of SMCs at 12. The fact that the PM and his party have known about the convening of the EBRC and have already in large part shaped and influenced its report on boundary and constituency changes hands the PAP an enormous advantage over the Opposition. Reform has made removal of the Elections Department from the Prime Minister’s Office (PMO) an important part of our manifesto since 2009. We want an independent Electoral Commission. In order to ensure real independence it should not be headed by anyone from the civil or legal service but preferably by a foreigner and report directly to Parliament or the President not the Executive. We have also called for the abolition of GRCs, which serve no purpose other than to make it more difficult for the Opposition to compete and which leave large numbers of Singaporeans denied their fundamental human right to vote for and be represented by a representative of their choice. The PAP has long used the excuse that GRCs are necessary to ensure minority representation in Parliament. However, coupled with the Ethnic Integration Act, the rule does not ensure that minorities are able to choose candidates of their choice but rather ones selected for them by the PAP. The fact that the Reform Party has no trouble attracting ethnic minority candidates and is led by a member of an ethnic minority illustrates that GRCs are not necessary to protect minority representation. Reform Party would abolish the Ethnic Integration Act to allow minorities to be effectively represented and also as a fundamental violation of basic human rights. Abolish the Newspapers and Printing Presses Act and remove state monopolies in broadcasting and other media areas. We would also remove the restrictions on online media and reform vague laws restricting freedom of expression. End the use of threats of withholding state resources like housing upgrading and transport links to intimidate voters. Reform wants to see government control over the economy and the people reduced by returning government assets directly to the people through the listing of Temasek and GIC and the issuing of shares to Singapore citizens. We also want to see Singaporeans having the right to own the freehold of their HDBs. End the conflict of interest in which government officials can take out defamation lawsuits in their personal capacity while in office. Entrench the principle, long established in the UK and other democracies, that Government bodies cannot sue for defamation or use protection from harassment laws to restrict individual’s rights to freedom of expression. Set out strict limits on any restrictions on our fundamental rights and liberties as enshrined in our Constitution. At the moment our Constitutional rights can be set aside for any reason if the Executive judges it to be in the national interest. Enshrine the independence of the judiciary by setting up an independent Judicial Appointments Commission over which the Prime Minister would exercise no influence. And does it really matter if we are a full fledged democracy at all? You think democracy is good for everybody? That the government acts exactly as the people want them to, so that they can stay in power? Then you, Sir, are shortsighted. Look at Greece and their mountains of debt from socialist policies and myopic spending to please the electorate. Look at USA, where candidates spend hundreds of millions on campaigning every 4 years, only to pander to the wishes of their donors during their term. Don’t be taken in by this sort of simplistic retort, which PAP “politicians”, made up of un-politically-educated technocrats, have been wont to make. Nobody has claimed democracy hasn’t its pitfalls, and you can at any time quote extremes of that, and yet haven’t proven any generality. And who has said that democracy is “government acts exactly as the people want”? Better read the literature to know the complexities of the debate, and, for example, the details as to how it has been claimed that in the final reckoning, democracy is safer than autocratic alternatives, say in guarding us from human failings and preserving our human dignity. KJ, u haven’t mentioned the mass importing of new citizen voters, 11% new voters to be exact coming GE. Remember LHL’s letting it tongue-slip, during a passionate verbal response, saying that should the opposition win seats, he would have to waste work-time “fixing the opposition”, a seeming confession so grave that he found it important to unsay it a day or two thereafter? Well, this seeming penchant for verbal slip, with resultant unguarded momentary honesty, might have held sway of LHL yet again when he replied that NMP on this issue. He said, insisting that the minutes of that electoral committee’s deliberations should remain confidential, that it’s no use making public “the twists and turns” of the decision processes. Why the need to twist and turn if the decisions were made on “transparent”, fairly and publicly acknowledged principles of constituency demarcations?